You have more than one path to become a successful author. However, many bestselling authors can refer back to a single moment that changed their lives. Compare these examples to your own life while learning to shape your author career. An author had been dared by her husband to write books. She took the dare, wrote books, was published, and over the next decade made it to the bestsellers list fifty times. Lesson: There’s at least one person in your life that will believe in your dreams and motivate you. Listen to that person. Most others will attempt to talk you out of becoming an author, because they do not understand what it’s like to be an author. Question: How much value do you place on others to shape your author career? An author that won the Edgar Award, Shamus Award, and the Anthony Award, started his career working for his grandfather in the travel industry. Lesson: Most authors start out in a job that has nothing to do with being an author. On the other hand, working in the travel industry could give you some great ideas. Question: By reevaluating your other job, what ideas can you come up with to shape your author career? An author that sold 100 million books had not been permitted to watch television as a child. Therefore, the author read books to pass the time. Lesson: Television is the destroyer of authors. If you want to sell 100 million books, then you need to limit your time in front of the tube and spend more time reading. Question: How much time do you spend reading, compared to how much time you spend watching TV? To motivate you, consider signing up for the 9 Minute Reading Challenge. An author felt alienated around people because of his 6’9 height and amazing intelligence. Even at Harvard the professor gave him bad marks on purpose. To overcome his struggles, he practiced meditation and became a workaholic. He went on to sell over 150 million books. Lesson: Overcoming fears and weaknesses will shape your career as an author. Some common weaknesses for authors can be public speaking, business management, and marketing knowledge. Question: What steps can you take to turn your weaknesses into strengths? An author that fought off boredom by writing books later had been published and spent 660 weeks on the bestsellers list. Lesson: Sometimes the most common thing can change a person’s life. There will be several opportunities in the next week, month, and year, which can advance your author career. That opportunity can be a day when you have nothing to do. Question: What are you doing with your spare time to shape your author career? An author’s childhood memories consisted of poverty, along with a father who was drunk, violently abusive, and cheated on his mother. During his writing career, it took 35 novels before he broke through. He eventually sold more than 200 million books. Lesson: There are really two lessons in that example. Authors can use humbling moments to fuel their success and lightning does not always strike after you’ve written just one book. It might take a few books to get going. Questions: Will you keep going despite humbling moments? Will you keep writing more books, no matter what? An author started out by writing short stories and screenplays without much success. He then decided to try becoming a novelist. One of his books was adapted to film and he went on to become a bestselling author. Lesson: If writing in a certain genre isn’t working, then try writing in a different genre. Make some minor changes to the style of your writing. You cannot shape your destiny until you walk down the correct path. Question: Are you making the most of every gift, or are you using just some of your gifts? Early in her author career, her novels were called, “Nasty, filthy, and disgusting.” She went on to sell 400 million books. Lesson: If someone calls your work, “Nasty, filthy, and disgusting,” take that as a compliment, especially if that’s exactly how your story is suppose to come across to the reader. After her husband claimed he loved another woman and left to be with his mistress, this author became devastated to the point where depression caused amnesia. She kept writing and sold over 2 billion books. Lesson: It doesn’t take much for an author to become depressed. Authors are emotional people. 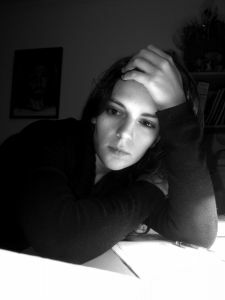 Question: How can you use humbling emotions to propel your career as an author? She was on welfare, depressed, and had suicidal thoughts. She decided to become an author. Today, she is worth over two billion dollars. Lesson: Most authors start off broke. In fact, I would say that the greatest authors in history were at one time, poor. Since there’s no money to do anything else, they read and wrote books. Question: How can you use your current circumstances to succeed? Are you looking for 100 ideas to sell your books? Check out 12 Month Author Marketing Plan!